This morning, I decided to get a little creative with my morning breakfast of fruit and yogurt. I wanted to make it feel like it was an indulgent treat rather than a healthy option. As I was reaching for a bowl to use for my yogurt, I spotted my corn cob dishes and decided to use it as a banana split boat! I love when I can find an alternative for items in my kitchen. In this case, I am making a healthy version of a banana split. One that is both fitting for breakfast and the Weight Watchers Simply Filling Program that I am following. 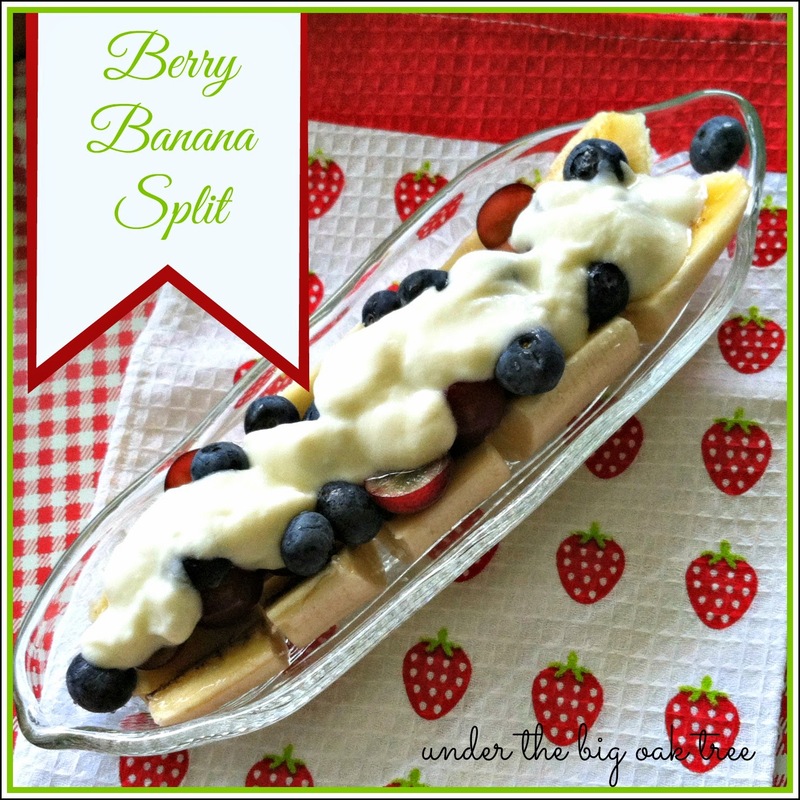 All you need is a banana, berries of your choice, and some fat free yogurt! slice banana in half lengthwise, then slice into bite-sized pieces. Place sliced banana in dish. Cut grapes in half and place on top of the banana with the blueberries. Top with yogurt of your choice. Top with a Simply Filling friendly cereal in place of sprinkles you would traditionally find on a dessert banana split! Be sure your yogurt is a power food, otherwise be sure to track points for non-power food yogurts. I used fat free vanilla yogurt for 1 point. Use whatever berries you like! I just happened to have grapes and blueberries on hand this morning. How To Train Your Dragon 2 Opens this weekend!